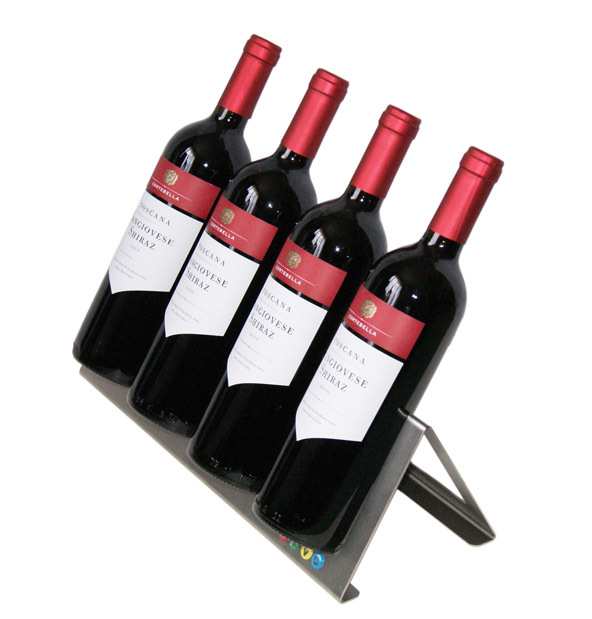 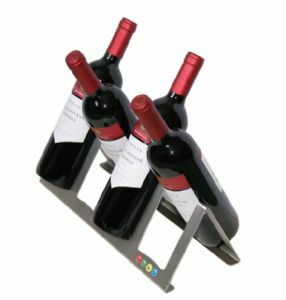 Stainless Steel table top wine bottle holder. 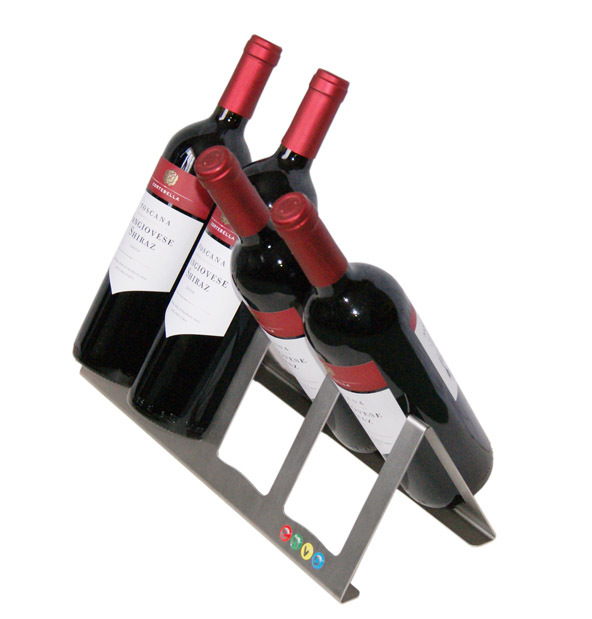 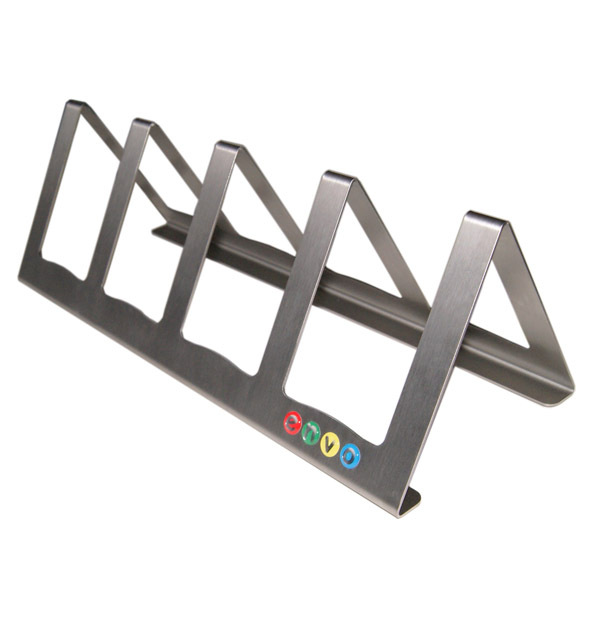 Thick and sturdy stainless steel construction with bottle end securing tabs to help prevent slippage from the rack. 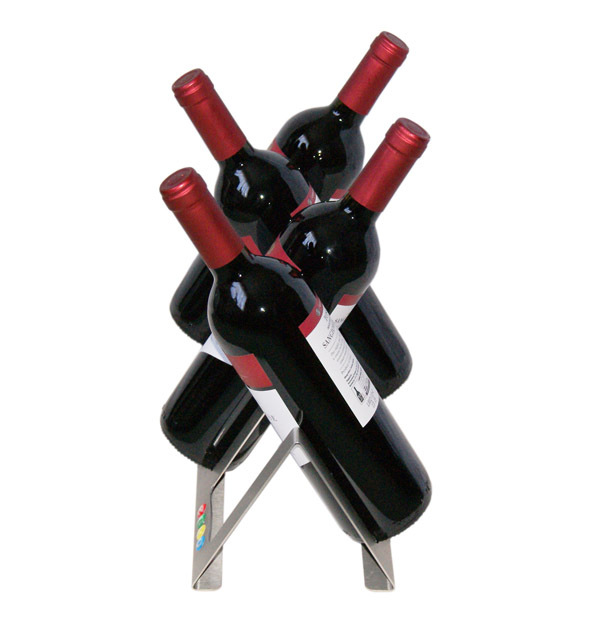 Compact in size and stackable for easy storage. 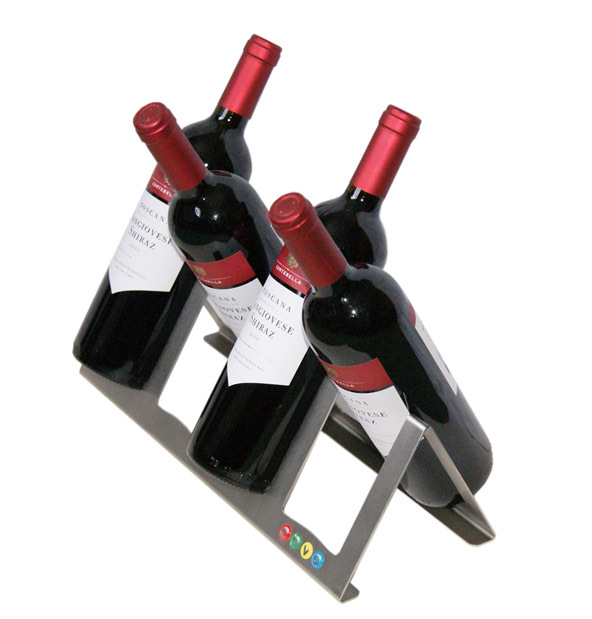 Rubber feet to prevent movement on slippery surfaces.